Gene Hogsett was born on January 2,1936 in Coushatta, Louisiana. He passed away peacefully at his home in Big Canoe, Georgia on March 22, 2019. He was an Army Veteran, having served in the 101st Airborne. He worked for General Motors at Richardson Chevrolet, and A. J. Foyt Chevrolet, in Houston, Texas for 40 years. He loved restoring antique cars, especially his award winning 1939 Chevrolet Master Deluxe. Gene was preceded in death by his son, Billy and his brother, Walter. 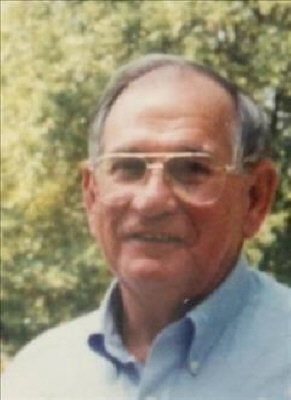 He is survived by Bonnie, his beloved wife for fifty-nine years; daughter and son-in-law, Regena and Garry Simpson of Woodstock, Georgia; grandsons Garry Simpson, Jr. of Woodstock and David Simpson of Woodstock; sister, Kelly Sue Rowland of Deer Park, Texas. By request of the family, please, no flowers. Donations can be made to a charity of choice or St. Jude's Children's Hospital, Shriners Children's Hospital, Wounded Warriors, S.P.C.A. or Stop Hunger Funds. "Email Address" would like to share the life celebration of Albert Eugene Hogsett. Click on the "link" to go to share a favorite memory or leave a condolence message for the family.